BoothClub is a new photo booth for iPhone that comes with an assortment of effects and themed skins. If anybody thought photo booths are a thing of the past, the iPhone proved them wrong. Photo booths are indeed enjoying great popularity in their new pocket format. Send via email or share on Facebook and Twitter. BoothClub comes with two different sets of themed effects and two booth skins. The Standard Booth includes 3 basic effects, color, black and white and sepia. The Fantasy Booth features 7 effects (red, orange, golden, yellow, cyan, blue, violet), characterized by oversaturation and colored vignetting, to match different situations and moods. 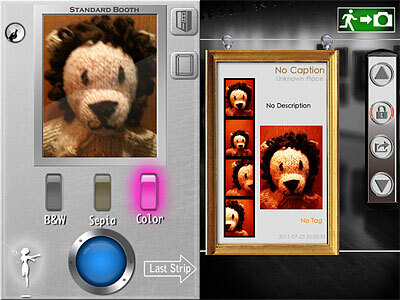 A collection of 6 additional special effects are available with the Memory Booth (in-app purchase: $0.99/€0.79/£0.69). Memory effects revolve around a general vintage look, but they are quite varied and range from high contrast black and white to aged paper. 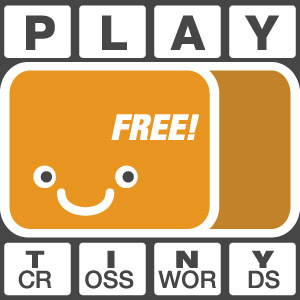 From the in-app settings, it’s possible to choose a border style among black, white and gray. To take pictures, you simply point the camera at your subject (being a photo booth, at yourself, for example) and press the shutter button. BoothClub automatically takes four shots. You cannot set timer or shoot manually, which in some instance can be not very convenient. You can review the last strip of photos taken with the chosen booth after taking it. All strips are saved in the app’s vault. From the vault, strips can be deleted, shared, printed, emailed or, simply, saved to Camera Roll. Switching from front to rear camera is enabled on supported devices, and so is using the AirPrint option. As I said, a security feature is also available, allowing to input a code to protect photos once they are saved in the app’s gallery. The code can be changed and security can be disabled. Even without purchasing the extras, BoothClub has a decent selection of effects, especially for a photo booth app. Although not all effects are great in any situation, especially indoors, there is enough to have some fun and try different looks. The interface feels a little confusing at first, especially because each skin has buttons and switches placed differently. Anyway, getting used to BoothClub doesn’t take too much effort. The app offers tips to learn about some of its most obscure features, like the security switch, but even where available, help is not exhaustive. In general, the app feels a bit less intuitive than it could have been. Previous post: King Camera & Iris Photo Suite for iPad on Sale!